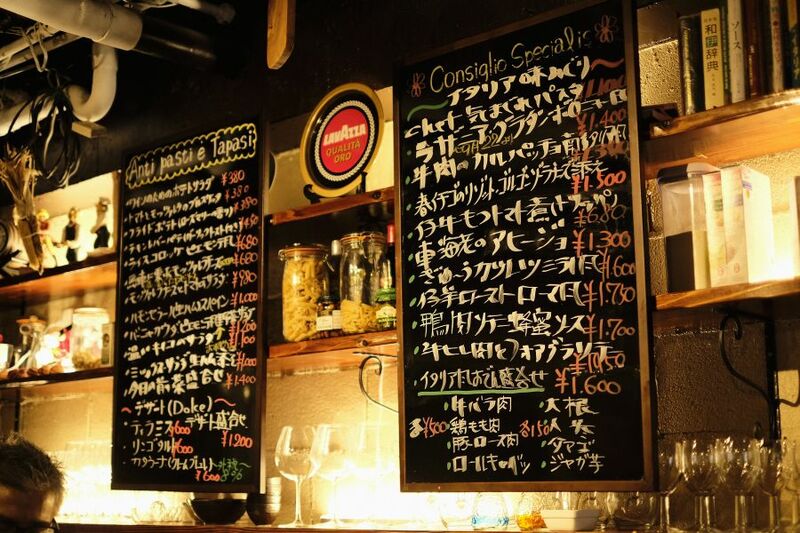 『BAR』…How would you read it? has different name for it. along the street of Uruma-city, Ishikawa. 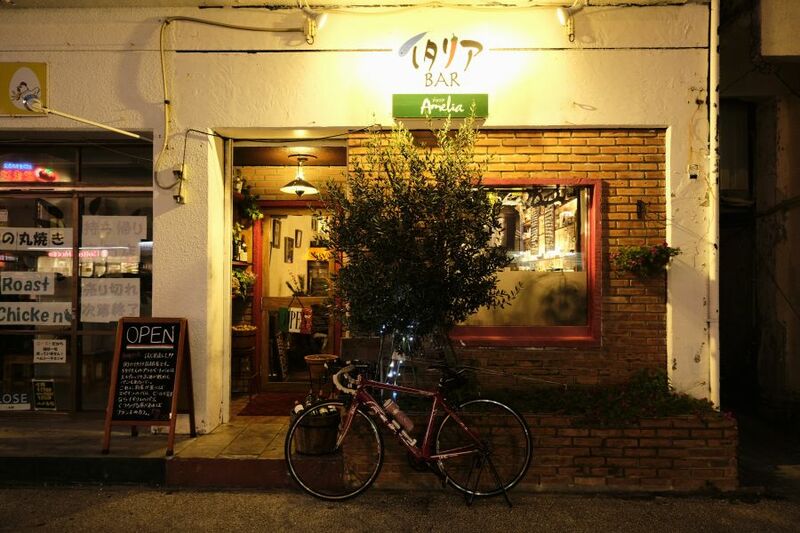 Let me introduce「Italian Bar Amelia」. The best space to taste wine calmly. 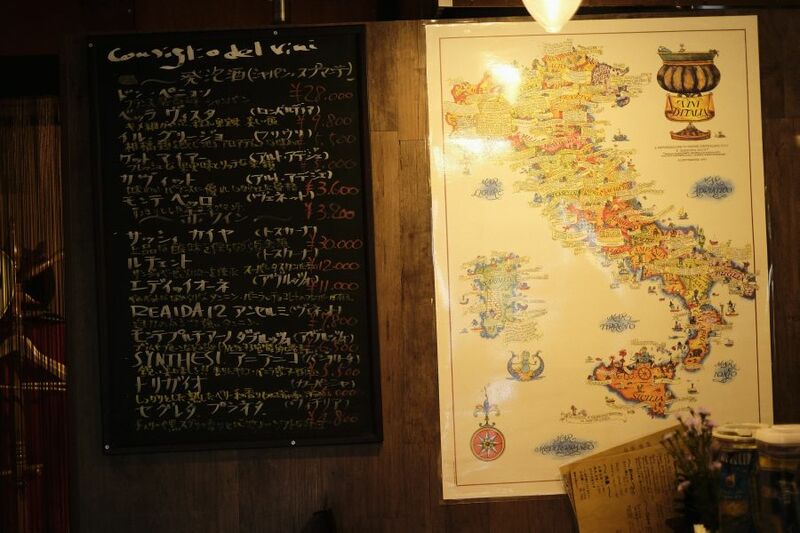 You can find an old Italian map on the wall. during his stay in Italy on the walls (or the map). Some of them are pictures of bullfighting tournament representing Uruma-city. 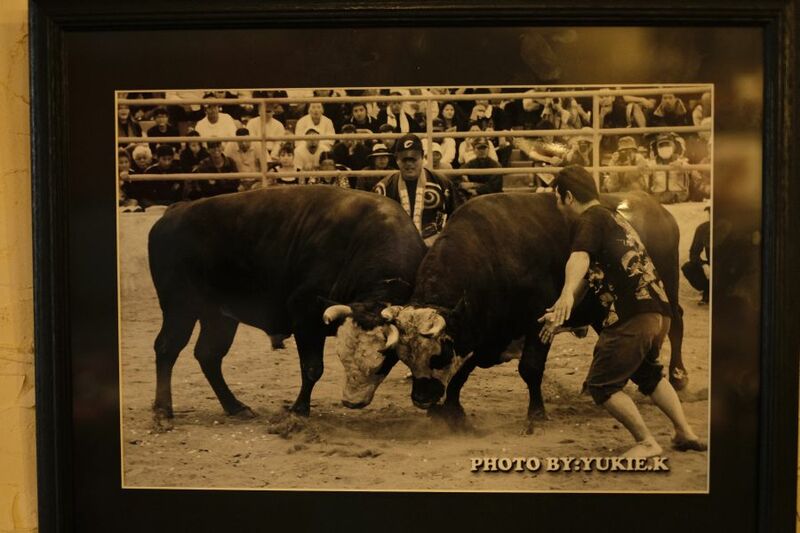 is famous for bullfighting in Okinawa. Well, what about the food at there? 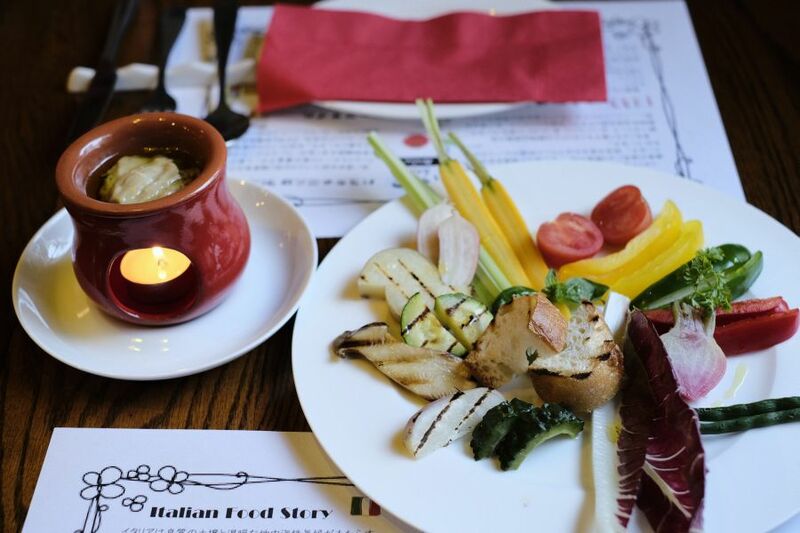 「Bagna cauda and salad with lot of local vegetable from Uruma city」 served lots of colorful vegs. made of garlic and anchovy. Local farmers in Uruma-city yield red veg “Treviso” which is popular in Italy. 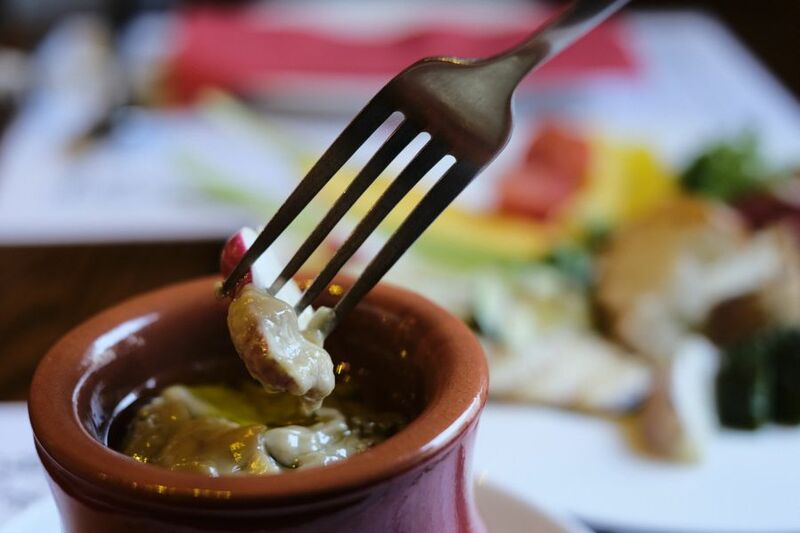 In today’s [Italian appetizer serving] We’ll be serving 7 different types of appetizers which one can enjoy simultaneously. and Shima Dako’s salad. Next to it we have a pumpkin prepared by boiling it with red wine. In the centre, we have raw ham which was imported from Spain. Now, there is a reason as to why Spanish ham was used instead of an Italian one. 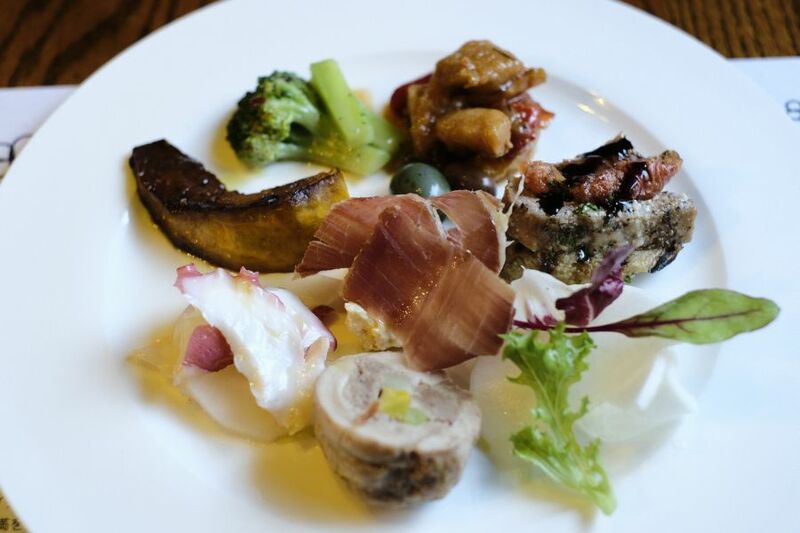 Unlike the Spanish ham, Italian ham can becomes very soft after the maturing process ends. The Okinawan climate also makes it unfit to be served to the customers. Spanish ham, on the other hand, is covered with salt and naturally dried for 16 months. This process enables us the serve a good quality ham at just the right time to our customers. Furthermore, as one eats this ham it softens in your mouth bringing out its aroma. Whichever way you say it , a bar is a bar. One must have delicious drink with delicious food after all! 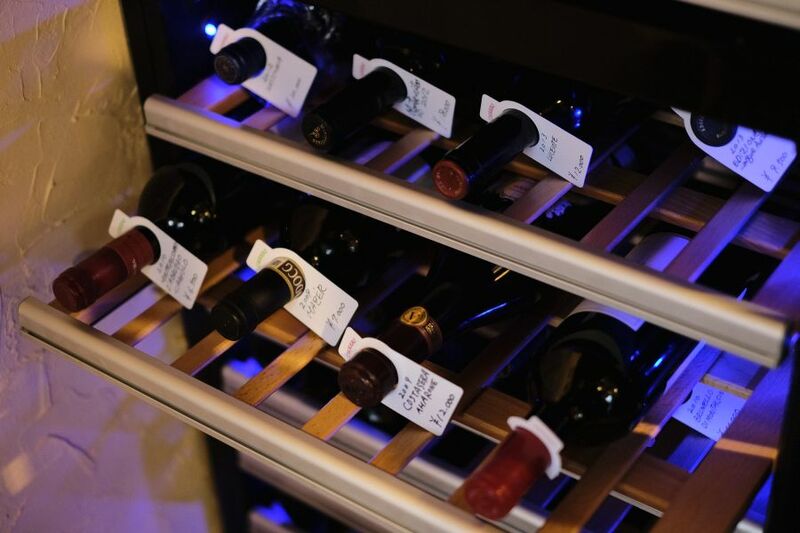 The Wine cellar here is composed of Italian wines like Tuscany and Vignettes . 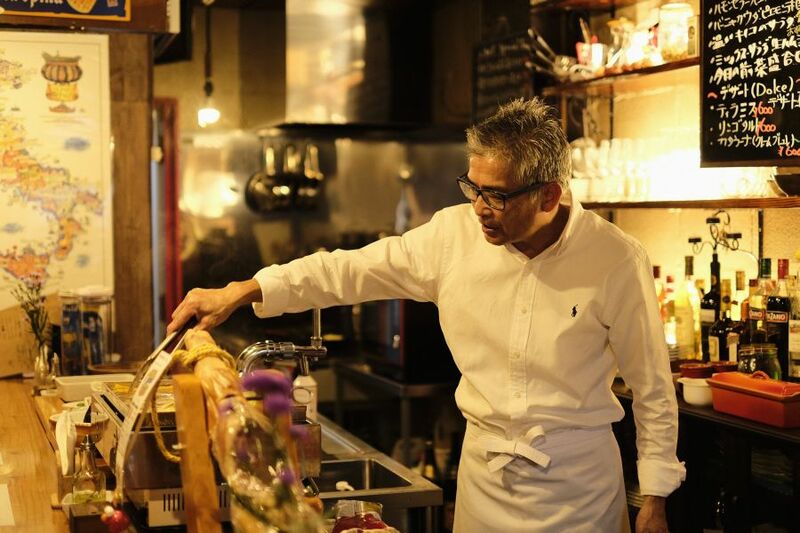 All the wines that are served here are very carefully selected by Mr. Urasaki. Wines with vanilla and chocolate like aroma, sparkling wine and so on. and decided to be a cook. 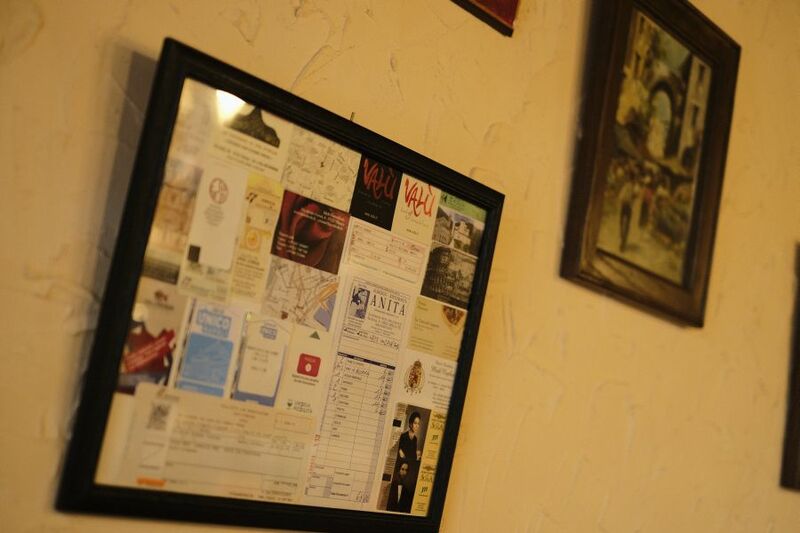 He studied at Italian restaurant in Tokyo and Kobe for more than 10 years and went to Italy. 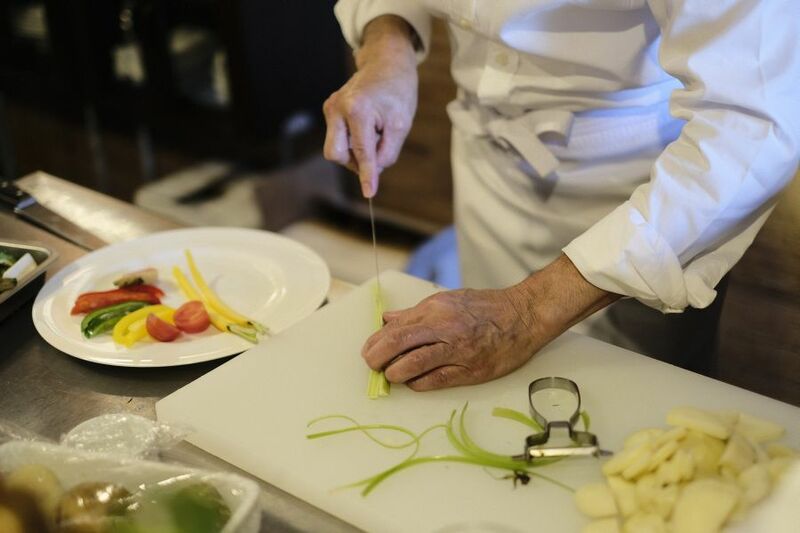 to learn simple and warm cuisine, such as dish made by a country mother. so that trains do not operate on Sundays. not Naha city he was used to live. “Considering the logistic side, you had better open in Naha. 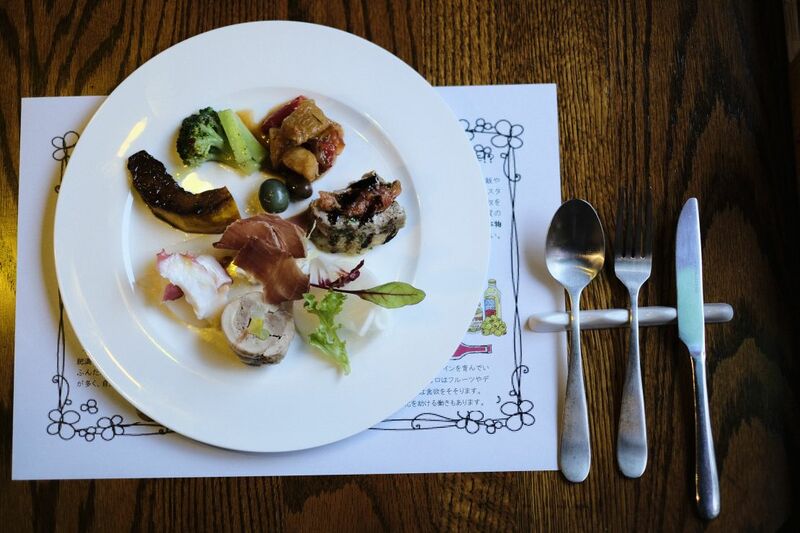 But, vegetables in Uruma City are fresh as we feel the original “smell” of vegetables. He told us the reason why I felt the charm of Uruma. Lately, not only local customers but also many people from other places are coming to visit. 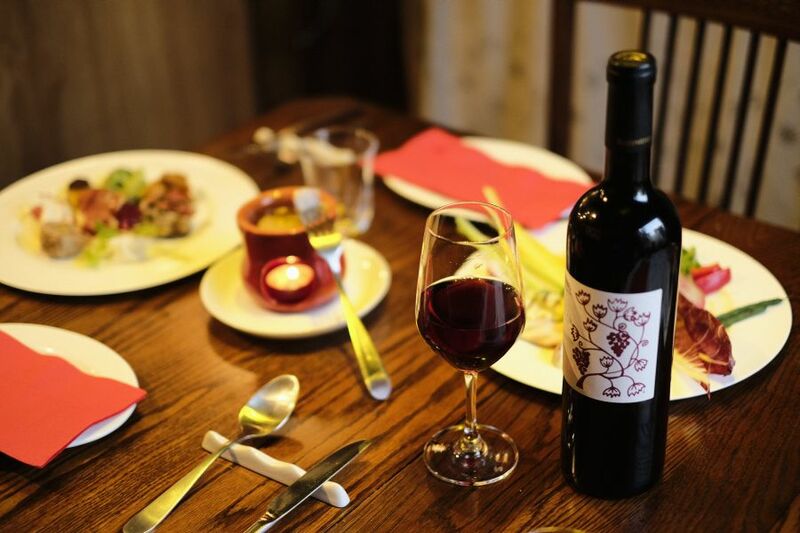 Italian cuisine with authentic ingredients taken seriously from Italy and rich flavored wine …. Each complements each other and makes delicious chemical reactions. 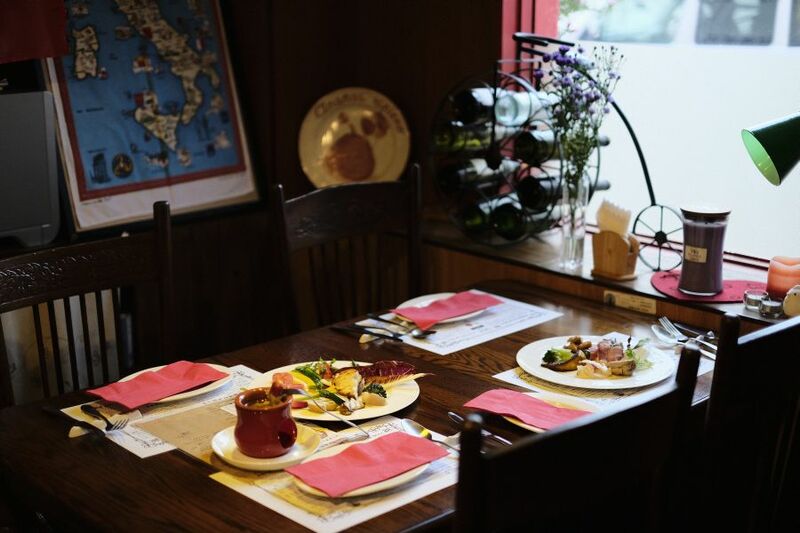 or enjoy tasting Italian cuisine and wine while chatting lively with your friends. It doesnt matter how you spend your own time in a bar. 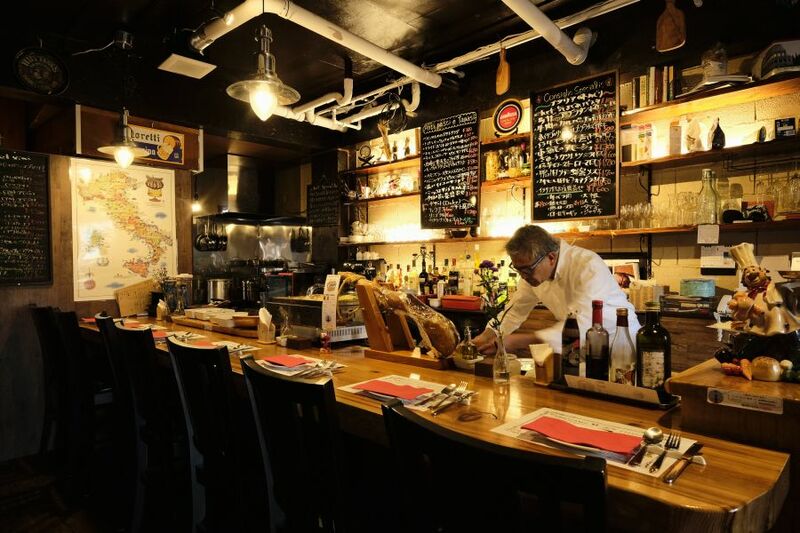 delicious Italian cuisine and drinks are prepared. Why don’t you spend such an elegant evening.